In landscape maintenance and designing, there are various terms that used and a good example of a new relative term is hardscaping. Hardscaping as a term in landscaping can be defined as some of the elements found on your home or office lawn that are not considered to be alive; they include walls, patios, and even the lawn decks. 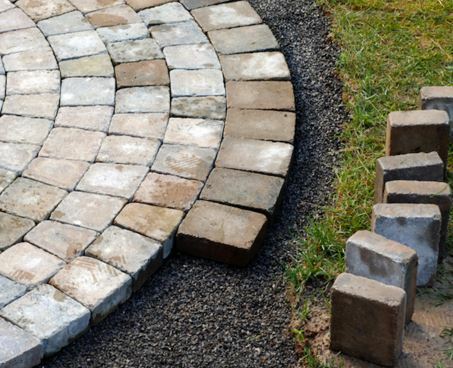 A hardscape contractor, on the other hand, is a professional that is responsible for ensuring your hardscaping and landscaping needs are well taken cared off. When maintaining your lawn to ensure it maintains its outdoor appeal, having errors will be a factor you would want to omit. At Michiana Commercial Landscape, we understand that you are looking for perfection in your lawn that is why we have well-qualified staff at our disposal to ensure all your hardscape and landscape needs are well taken cared off. • Hardscaping- Get to improve your outdoor home appeal with help from our well experienced and versatile staff and our amazing well crafted designs for your lawn or yard.• Lawn Maintenance and Installation- Not only will we be responsible for ensuring you have an amazing lawn for your home or business but also we will be guiding you on how you will be ensuring it is well maintained. Improve the quality of your grass appearance, wall designs and patio decorations with our assistance.• Irrigation- One way of ensuring your hardscape and yard is well maintained is by ensuring it is well watered. One of our added services in ensuring you have an amazing lawn is installing an automatic irrigation system which is a good source in reducing your level of water consumption. Whenever the terms hardscaping and landscaping are being mentioned, most of us tend to prefer maintaining their lawns on their own rather than working with a professional company or landscaper because of the added expenses. However, at Michiana Commercial Landscaping we ensure that we offer you services at prices you will be comfortable in. We offer a variety of services both in hardscaping and landscaping at good quality and at a friendly price. Living in Granger, Indiana, finding a reliable hardscape contractor can be quite a challenge for most people. We are a company that has been there for a while now with a positive reputation from its previous clients. Looking for a company to work with, give them a try and get to experience their amazing services.